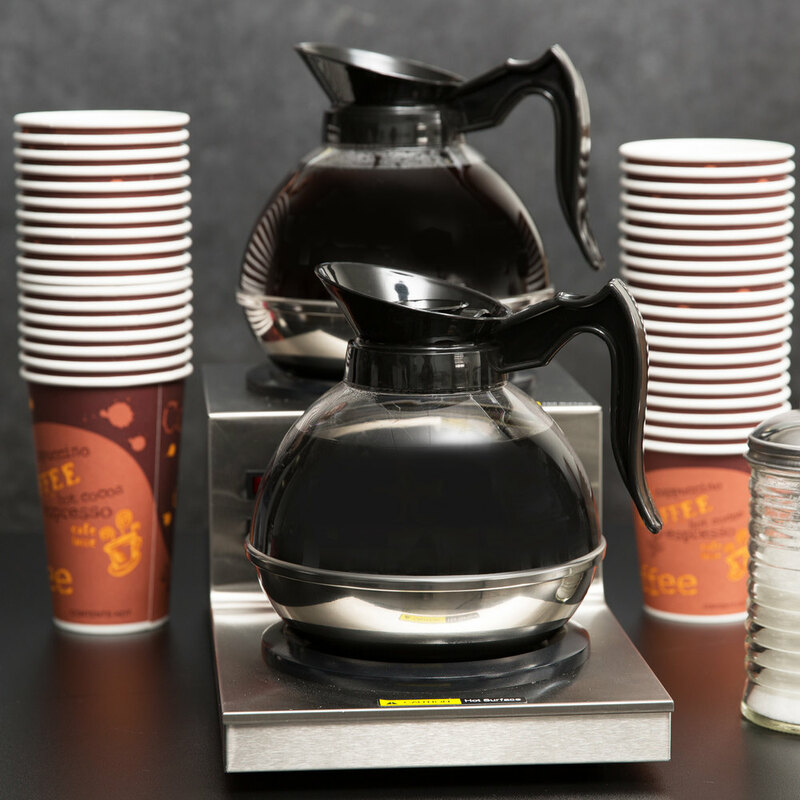 Keep your coffee hot, delicious, and ready to serve with the Avantco W53 step up double burner decanter warmer! 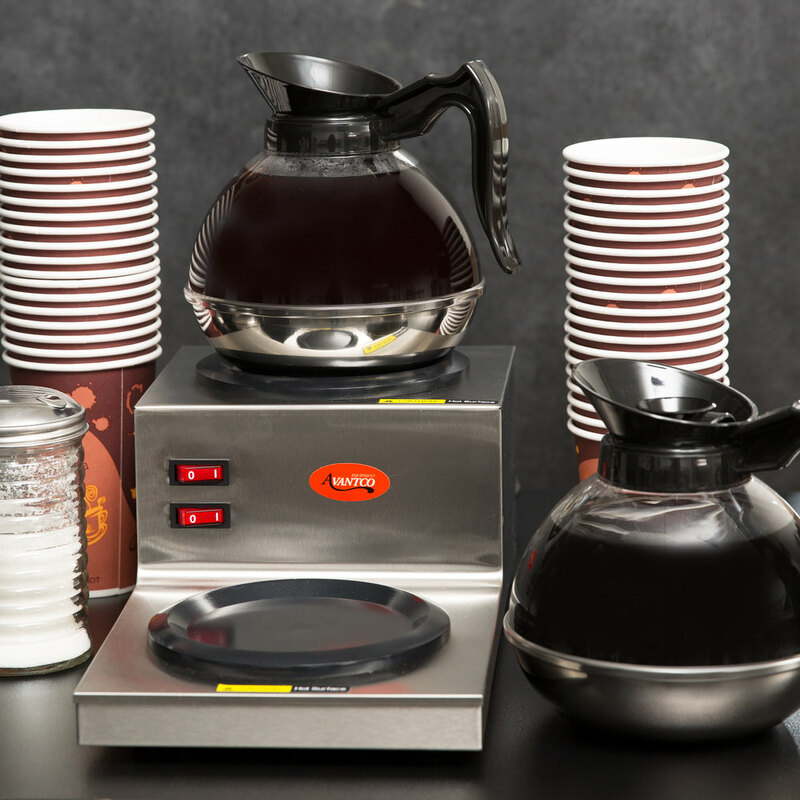 This decanter warmer features 200W of heating power and two Teflon®-coated aluminum dishes sure to keep your coffee hot without sticking to the decanter. 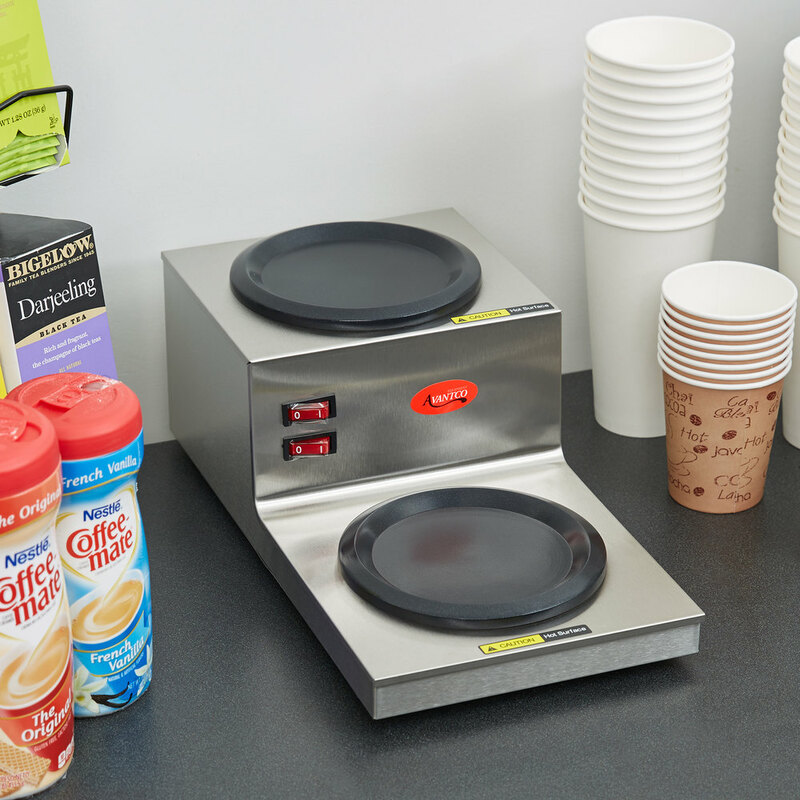 It comes with separate on/off switches for simple and convenient operation, and the two-tier design gives customers optimum visibility of your coffee while keeping it easily accessible. And for outstanding durability, this decanter warmer's exterior is made of stainless steel. The Avantco W53 requires a 120V electrical connection. Left to Right: 7 1/2"
Front to Back: 14 1/4"
Good product that gets a decent amount of use in our cafe. The thinnest version I could find in the average price range and it performs like you would expect. We looked at several models and decided on this one. We were very happy with our selection, the unit keeps coffee at the right temp and doesn't burn. We plan to order a second one in the near future! Love love them!! We bought 2 and make use of both so often. Keeps coffee at the right temp and prevents burning. I Completely recommend!! This is a great product for when you need to have your coffee closer to your customers. It helped us greatly, and our wait staff no longer half to walk all the way back to the kitchen every time a customer needs a fill-up. Very convenient! 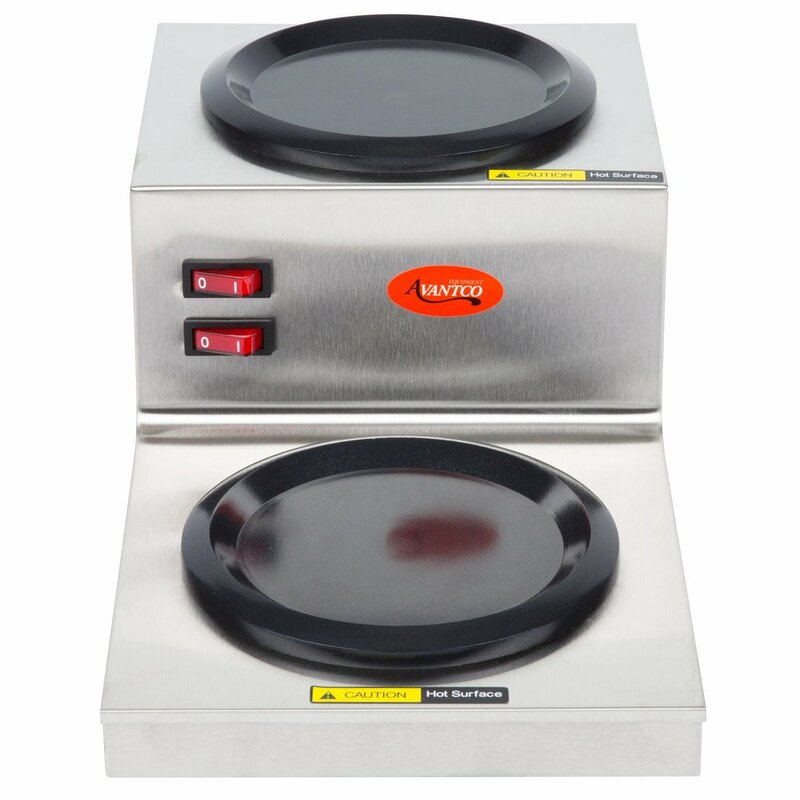 This burner has come in very handy and is a way better alternative to name brand burners for the much higher price. Use daily! This is a great space saving coffee urn warmering unit. It can easily hold two large coffee pots. Perfect combo for a decaf and regular pot. This is a nice dual warmer! 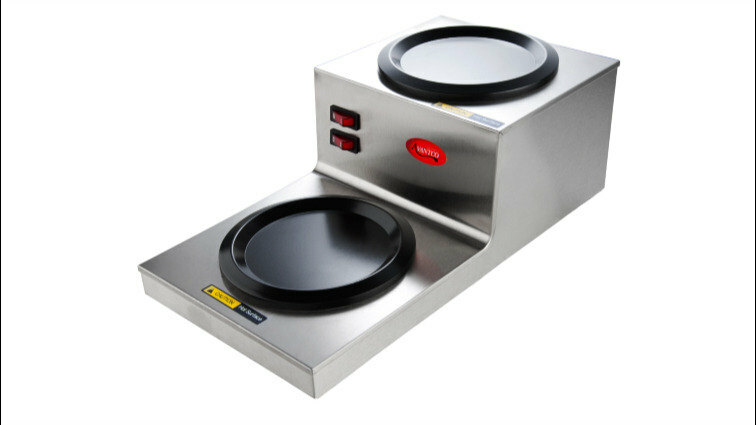 I have used it for cooking competitions where it works nicely to keep sauces in a small pot warm during plating!! I've used this at a previous job in catering, and they work great. It keeps the coffee hot, and available whenever needed. They are great to put at the opposite end of the room where your coffee maker is, to make it easier on the wait staff.